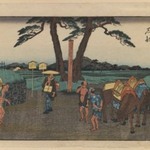 The Tokaido road connected Edo to Kyoto, running along the Pacific coast. 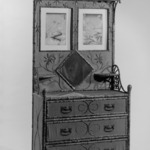 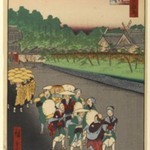 Along the route stood fifty-three post towns, each of which is depicted in this series. 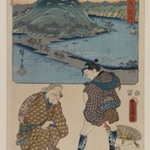 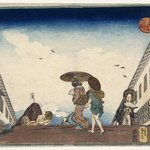 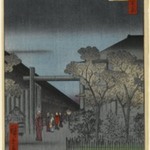 Hiroshige’s first journey on the Tokaido in 1832 inspired him to embark on this project, which is also known as the Hoeido Tokaido, after the publisher. 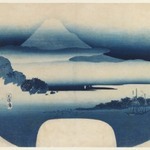 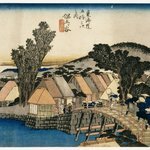 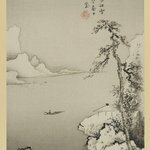 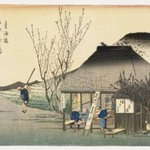 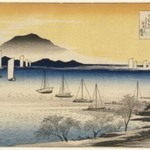 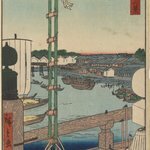 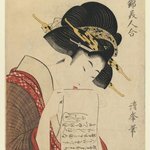 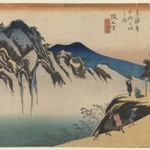 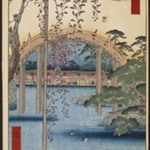 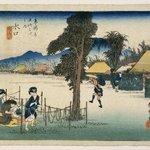 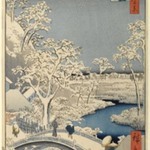 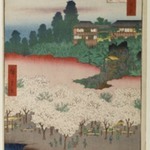 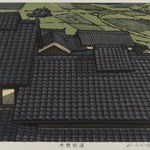 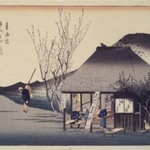 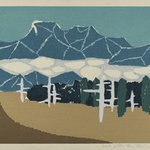 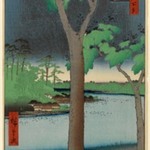 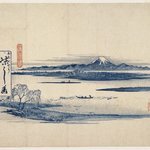 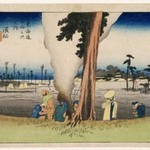 The series brought unmatched fame to Hiroshige as a landscape designer. 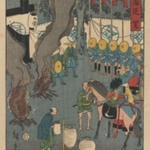 This image is the first in the series but comes from a later edition in which figures were added to the crowd of vendors in the foreground; it depicts a feudal procession led by standard-bearers coming over the bridge. 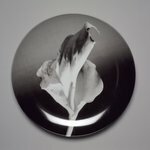 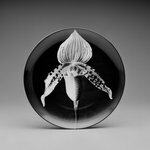 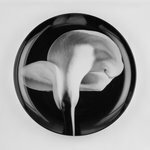 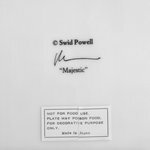 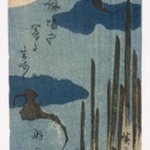 PORTFOLIO/SERIES From the series: "Tokaido go ju san tsugi no uchi"
CATALOGUE DESCRIPTION Ōban. 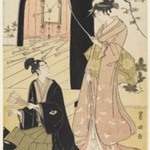 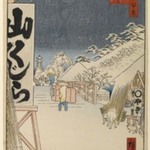 First image from the series "53 Stations of the Tokaido." 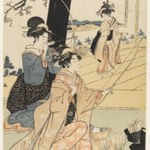 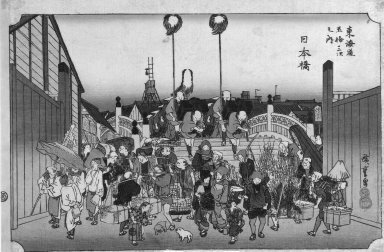 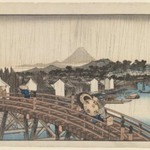 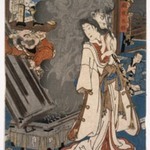 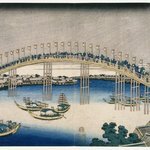 Depicts the activities along Nihonbashi bridge in Edo. 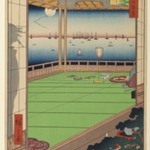 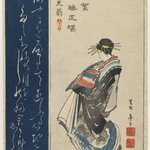 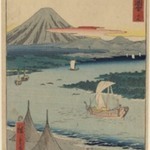 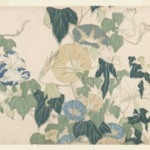 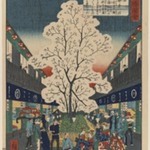 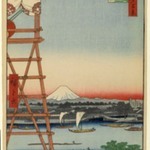 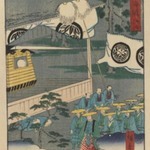 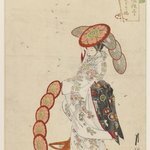 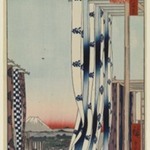 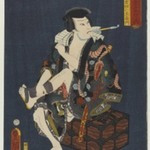 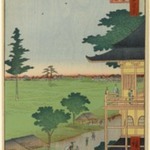 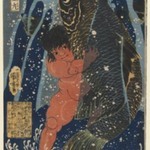 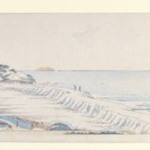 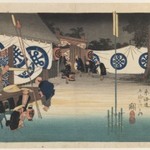 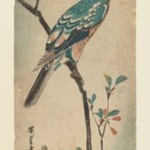 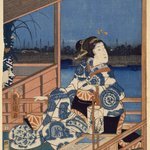 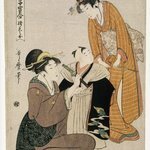 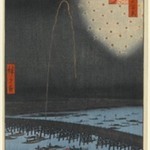 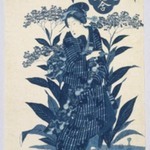 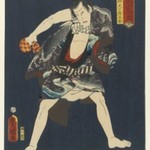 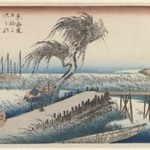 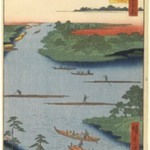 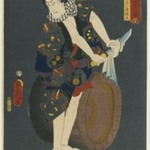 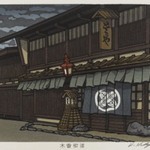 Several versions of this image exist, all apparently designed by Hiroshige. 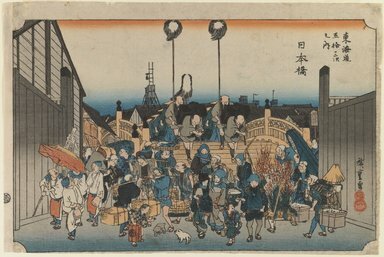 This is a somewhat later version, including additional figures in the foreground for a more crowded composition. 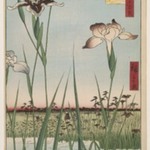 Condition: Trimmed at lower border. 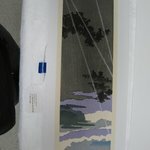 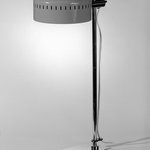 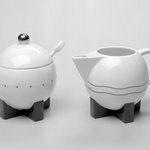 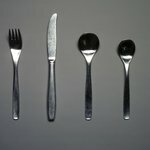 Surface rubbed.